Soaked in history and culture and surrounded by some of the grandest legends and stories of all time, this tour starts in Delhi the capital of modern India – a vibrant city, marching pell-mell into the future with a foot firmly planted in the past, rooted in a history reaching back 6000 years. In Delhi, broad, tree lined avenues set amidst gardens suddenly give way to crowded market places down narrow alleys reminiscent of the bazaars of centuries ago which sometimes sit cheek by jowl with glittering malls peddling the latest and biggest brands in the world. Agra, home to the Taj Mahal and one of the greatest and most enduring love stories ever told. Where the Emperor Shah Jahan, bereaved of his beloved Mumtaz, built in her memory a mausoleum so lovingly crafted that it has come to symbolize the greatest love possible. The pink city of Jaipur, home to the fierce and hardy Rajputs, warriors who rose out of the desert sands to ward off every invader that has ever fancied their territories. In between wars, they managed to build grand forts and palaces in the desert that stand to this day as a testament of their tenacity. Udaipur, the Lake City founded by Maharana Udai Singh II, as the capital of the Mewar Princely State is considered home to some of the finest palaces and forts in India. The Lake Palace set on an entire island on Lake Pichola is one such example. transfer to your hotel, check-in. Depending on the arrival time of your flight you may begin sightseeing in the afternoon after lunch. Dinner at overnight at hotel. After breakfast, sightseeing of Delhi, including a drive by of the Presidents Palace and India Gate and then visit Emperor Humayun’s Tomb. After lunch drive to Agra which should take approximately 4- 5 hours. Arrive in Agra, check-in to hotel, dinner and overnight in hotel. After breakfast visit the Taj Mahal and the Agra Fort, coming back to your hotel for lunch and the drive to Jaipur via Fatehpur Sikri which should take about 5 hours. Arrive in Jaipur, check-in to your hotel. Dinner and overnight at hotel. After breakfast sightseeing of the Amber Fort returning to your hotel for lunch. After lunch visit the Palace of Jaipur, the ‘Hawa Mahal’ or Wind Palace and the Jantar Mantar – the world’s largest stone dial and a UNESCO listed World Heritage Site. Evening tour of the Jaipur Bazaar, dinner and overnight at hotel. After breakfast transfer to the airport and fly to Udaipur, transfer to hotel, sightseeing of palaces and museums. After lunch boat ride on the Pichola Lake which offers stunning views of both the city skyline as well as the City Palace. 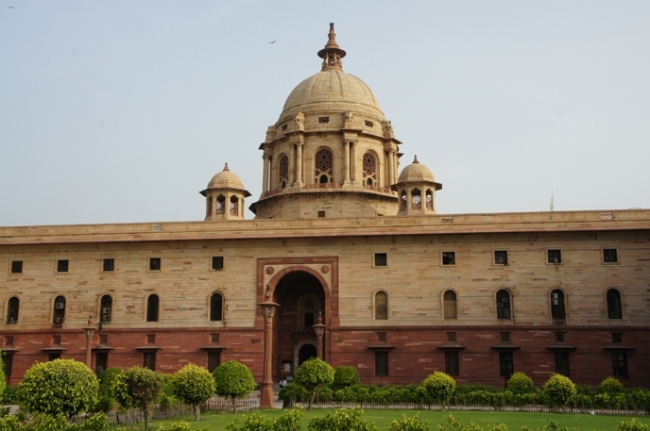 At an appointed time, transfer to the airport and fly to Delhi to connect to your outbound flight and depart India.